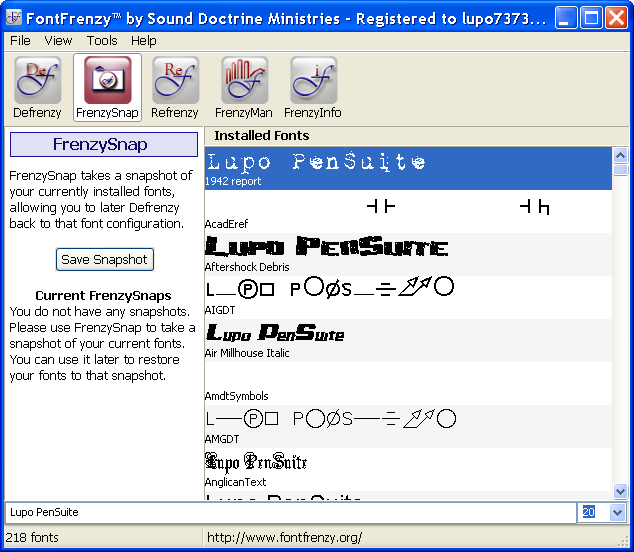 Description: It is a free font manager with some unique features not found in any free font program. Not only will it help you to view, install, and uninstall your fonts; it can help you "defrenzy" your whole font folder and put an end to font frustration and slow boot-up times. You can also read this Guide for more info.